NGK spark plugs are suitable for all British cars. 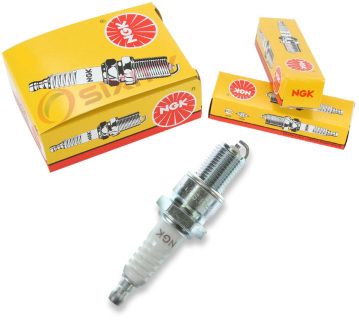 Best quality NGK spark plugs are essential for servicing and optimum running of your engine. Produced using advanced materials and cutting-edge technology, NGK spark plugs help maximize engine power and have exceptional ignition performance. 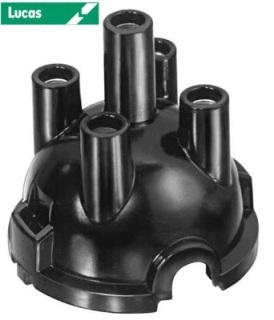 Conventional solid core nickel center electrode provides a reliable spark with low installation cost. Precision laser-welded electrode construction. Trivalent Metal Plating provides superior anti-corrosion and anti-seizing properties. Side outlet distributor cap for the 25D Lucas distributor. 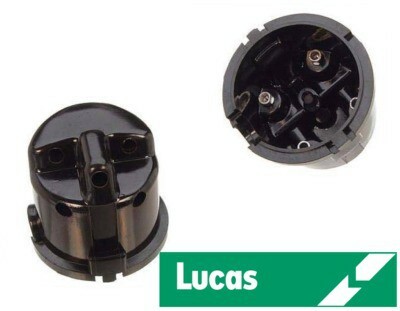 The top entry distributor cap (GDC103) may be used in place of this cap for use of modern push in style ignition leads (plug wires).